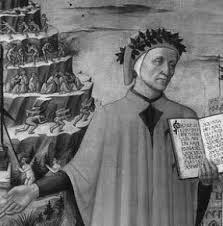 Mention the name Dante and most people think of his Inferno or the complete poetic works that fell under the title Divine Comedy. 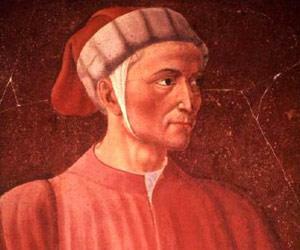 His real name was Durante degli Alighier, he was one of the most influential poets of the Middle Ages, and his Comedy remains one of the seminal literary works in history. 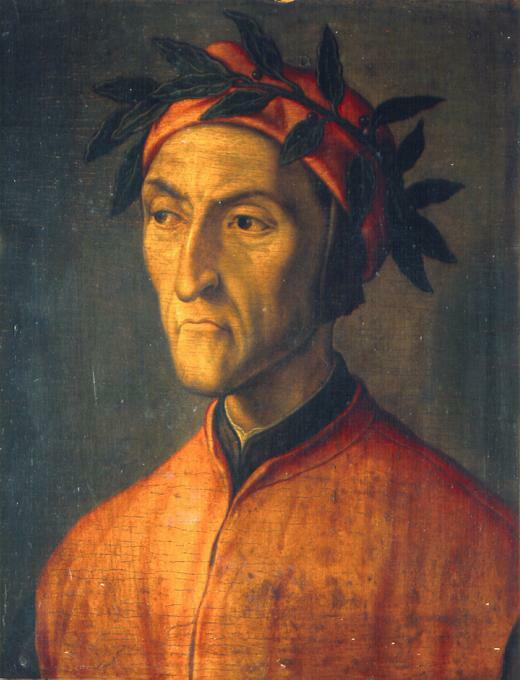 Born around 1265 in Italy, Dante was raised under the Guelph faction in Florence that was in support of Papal rule. It was a time of great religious and political upheaval in the region. Although he was contracted to marry another woman, Gemma di Manetto Donat, as was the custom of the day, he was secretly in love with Beatrice Portinari, an ever present influence on his life that came through in his later works such as Vita Nova and the Divine Comedy. He married Gemma, however, and had several children by her. 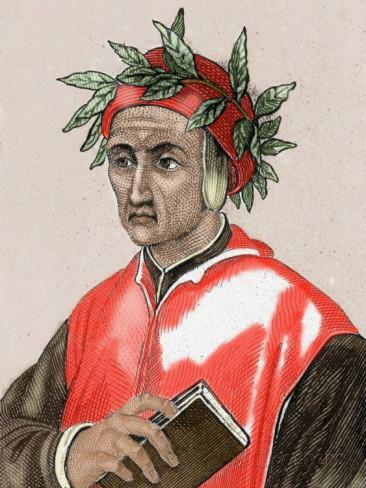 A lot remains unknown about Dante’s early life and his education, but he did fight with the cavalry at the Battle of Campaldino and later joined one of the city guilds, a prerequisite to going into politics. Much of his growth into poetry revolved around his unrequited love for Beatrice, whom he would see in the street but not talk to. In a number of his verses she appears as a divine being who looks over him and advises on his life of spirituality. 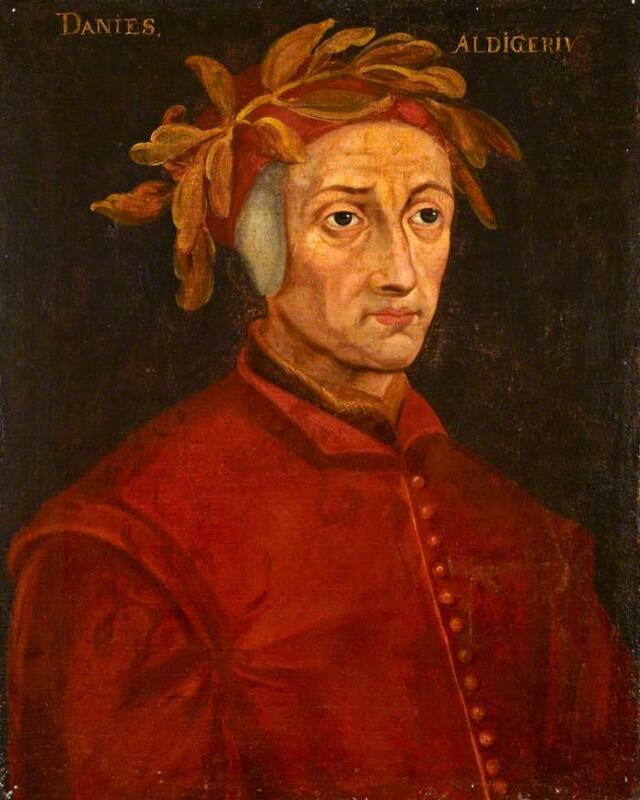 At 18 he coined the phrase dolce stil novo to describe himself and other poets and it later became the name given to the most important of artistic movements of the Middle Ages. 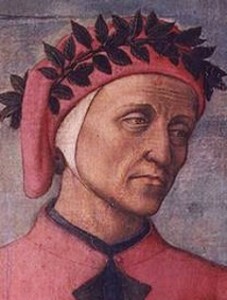 At the time, it was impossible to live in Florence and not be involved in the conflict between the Guelph and Ghibelline factions and Dante was no exception. He went into politics but accomplished very little at a time of deep unrest in the city. When the Guelphs finally won, the conflict did not end and the victorious faction split into two separate ones, the Black and the White Guelphs. 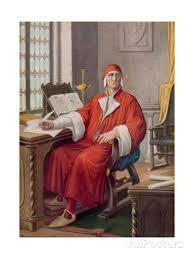 When Florence was invaded by Charles of Valois from another rival faction, Dante was fined and banished for two years. Because he did no pay his fine, he was given permanent exile and went to Verona. 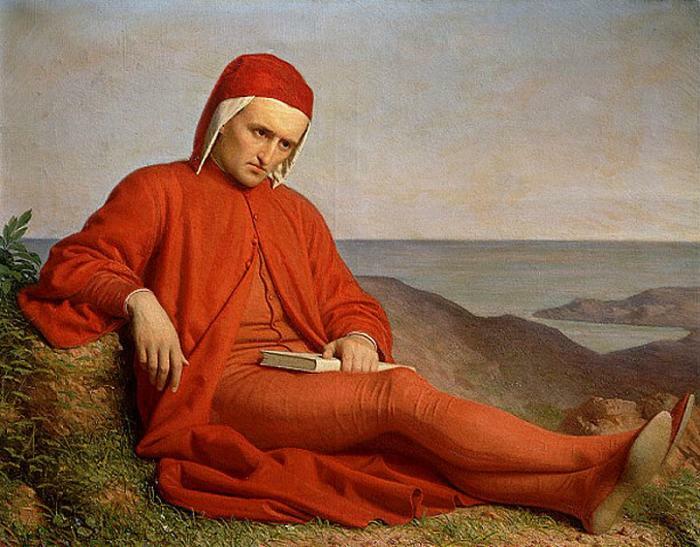 At some moment during his long exile, Dante began writing the Divine Comedy but most of the details have been lost over time, although it is thought this was around 1314. Meanwhile, Florence was compelled to give an amnesty to all those who had been placed in exile, which came with a condition that the forgiven did a public penance and paid another large fine. Of course, Dante declined the offer. 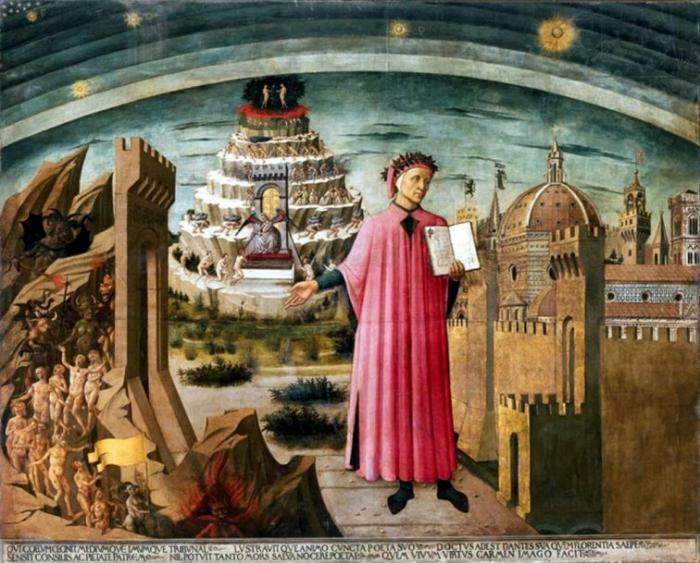 His Divine Comedy comprised three parts that followed his journey through Hell, Purgatory and Paradise and became a cornerstone of both Italian and global literature in the years that followed. It is a truly epic poem that is perceived as one of the great works in history, an allegorical vision of life after death and a reflection of the beliefs of the medieval world. In essence, though it is a journey through heaven and hell, it is often seen as a journey to meet God himself. 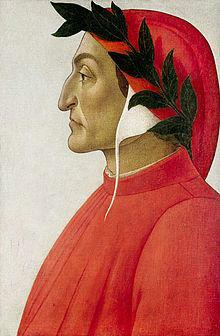 Although he was given the chance to return to Florence, Dante remained in exile and died in 1321 at the age of 56.